The global diapycnal transport in the ocean interior is one of the significant branches to return the deep water back toward near-surface. However, the amount of the diapycnal transport and the seasonal variations are not determined yet. 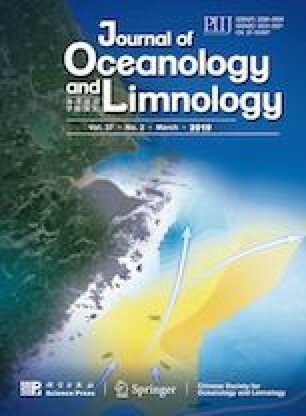 This paper estimates the dissipation rate and the associated diapycnal transports at 500 m, 750 m and 1 000 m depth throughout the global ocean from the wide-spread Argo profiles, using the finescale parameterizations and classic advection-diffusion balance. The net upwelling is ~5.2±0.81 Sv (Sverdrup) which is approximately one fifth in magnitude of the formation of the deep water. The Southern Ocean is the major region with the upward diapycnal transport, while the downwelling emerges mainly in the northern North Atlantic. The upwelling in the Southern Ocean accounts for over 50% of the amount of the global summation. The seasonal cycle is obvious at 500 m and vanishes with depth, indicating the energy source at surface. The enhancement of diapycnal transport occurs at 1 000 m in the Southern Ocean, which is pertinent with the internal wave generation due to the interaction between the robust deep-reaching flows and the rough topography. Our estimates of the diapycnal transport in the ocean interior have implications for the closure of the oceanic energy budget and the understanding of global Meridional Overturning Circulation.